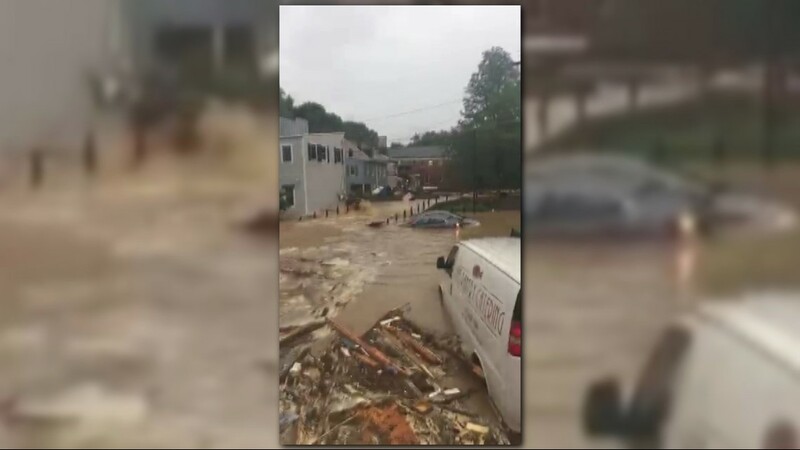 The scene on Main Street was reminiscent of the deadly flash floods from July 2016. 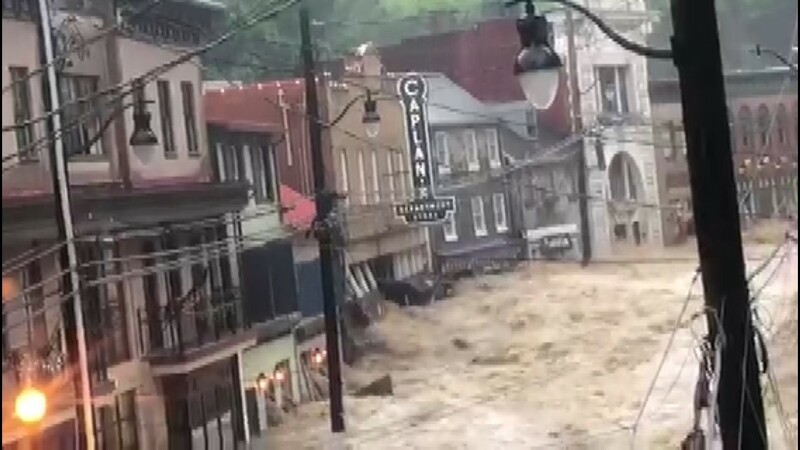 ELLICOTT CITY, Md. 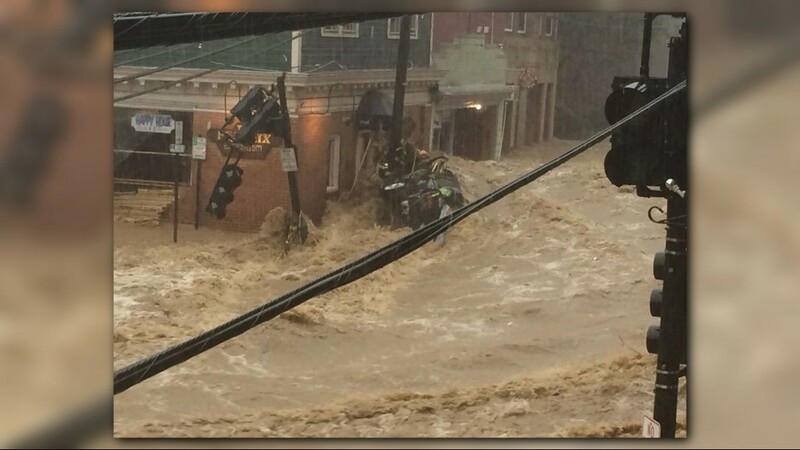 - A State of Emergency has been declared in Ellicott City, Md. after significant flooding Sunday in the city. 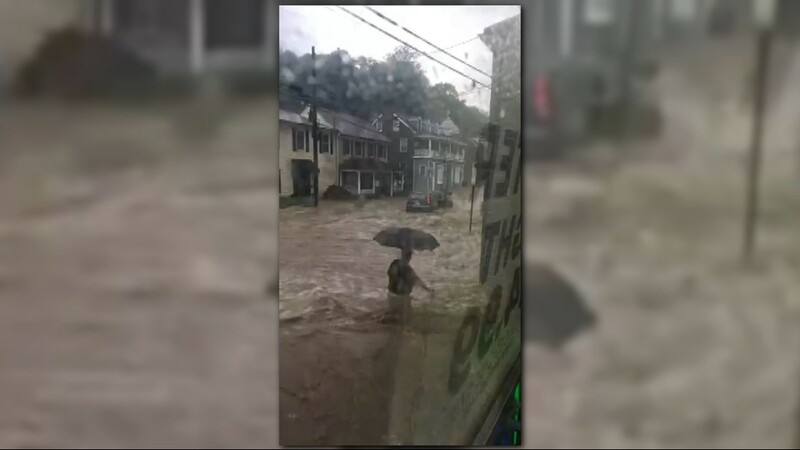 The scene on Main Street was reminiscent of the deadly flash floods from July 2016. 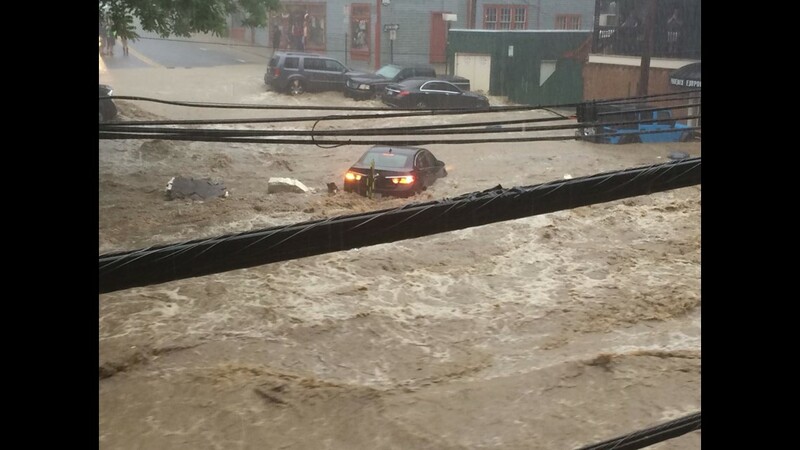 Nearly 10 inches of rain fell in the city Sunday. 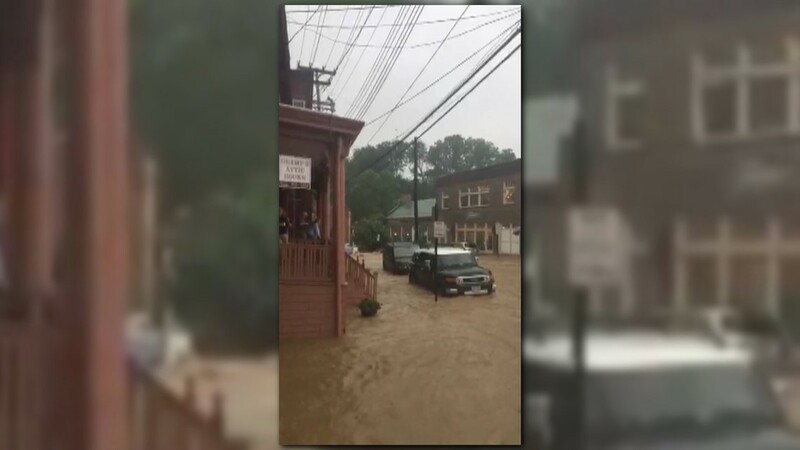 The flash flooding led to about 30 water rescues, officials in Howard County confirmed. 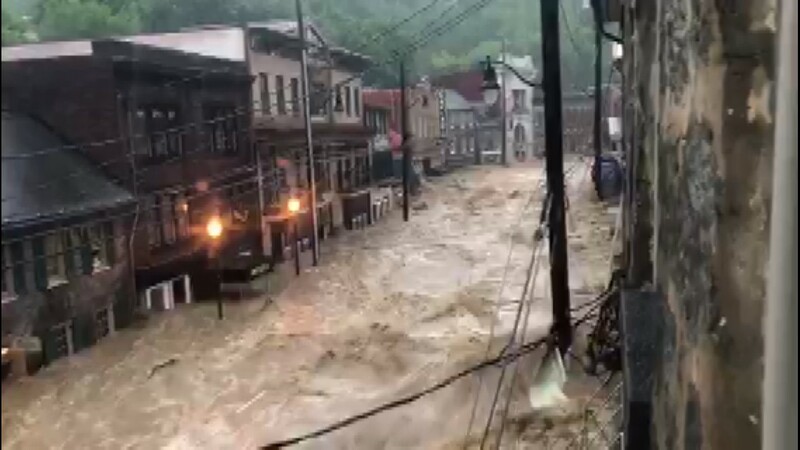 One person died because of the flash flood. Eddison Hermond, 39, was last seen at about 5:20 p.m. in the area of La Palapa restaurant. 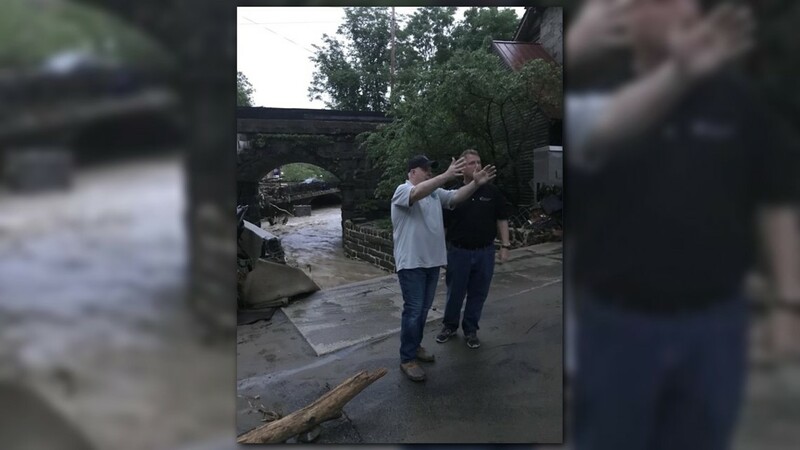 His friends said he was trying to help a woman rescue a cat when witnesses said he was swept away by the fast-moving water. 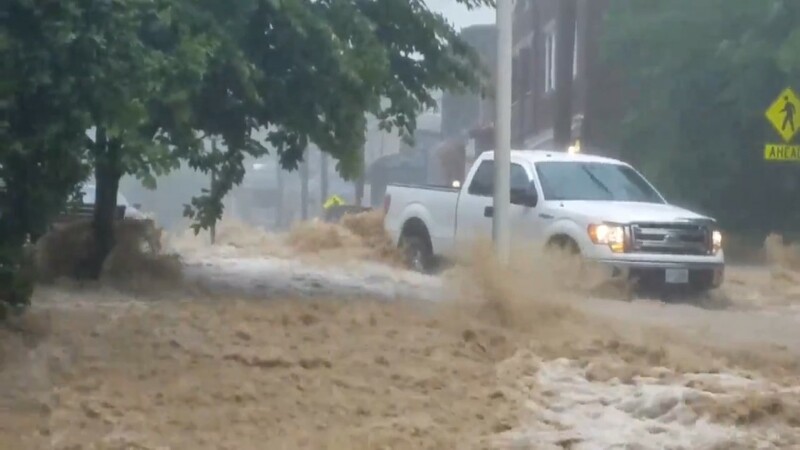 Through videos shared on social media, heavy flooding could be seen on Main Street—that’s the same street where flash flooding turned the street into a deadly river in July 2016. 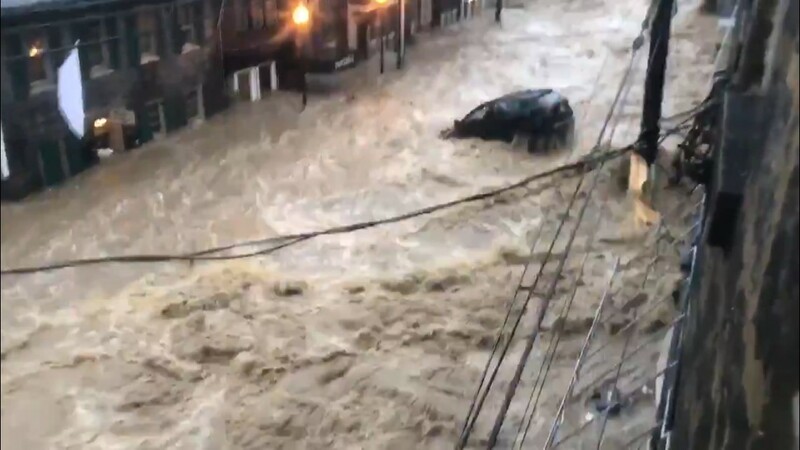 “I don’t think that I’m without exaggeration saying that this is worse than July 30, 2016,” Howard County Executive Allan Kittleman said. He got emotional while talking about the toll this round of flooding will have on the people of Ellicott City. “I can tell you my heart is broken thinking about what the people have gone through here and the people’s lives who were devastated two years ago and rebuilt. Now, they’re faced with the same daunting task again,” Kittleman said, getting choked up. In some areas, water was above the first floor of buildings, Howard County Fire & EMS officials said. 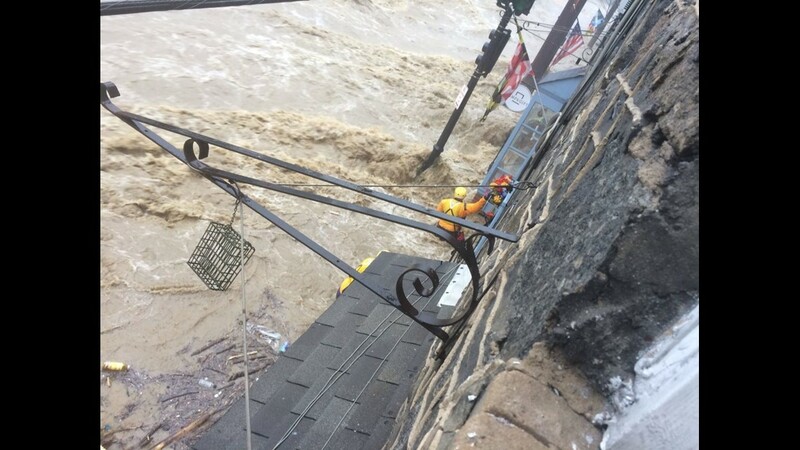 In the height of the flooding, people on Main Street were urged to go to the second floor of the building they were in. 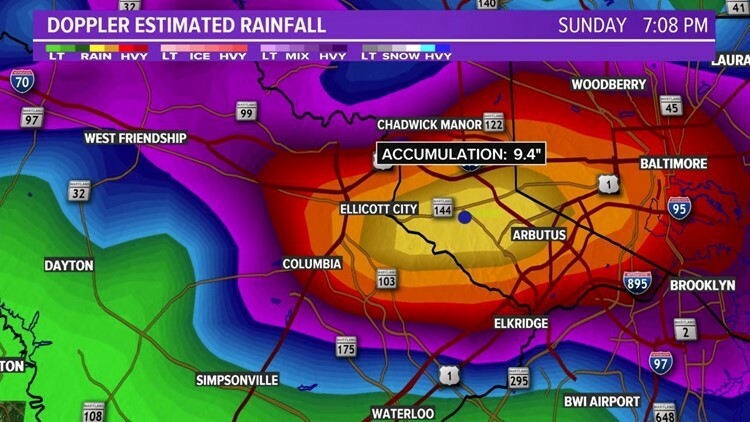 When comparing the rainfall from the two storms, the Memorial Day storm was worse. 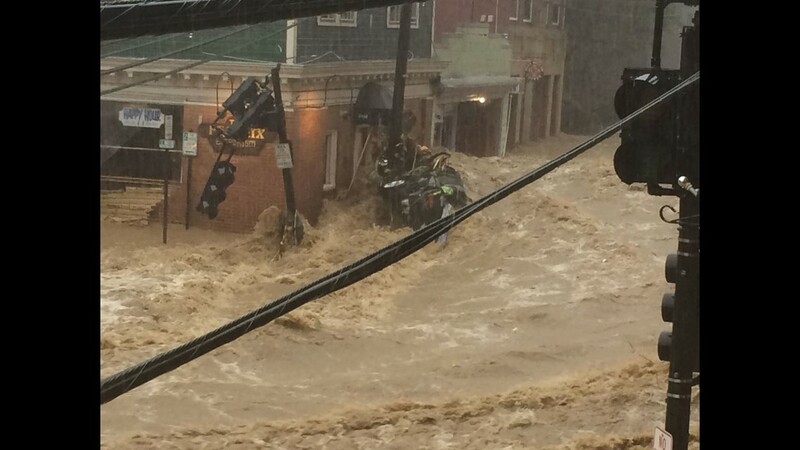 Nearly 10 inches of rain fell in Ellicott City Sunday. On July 30, 2016, about 6 inches of rain fell over the course of a couple hours. 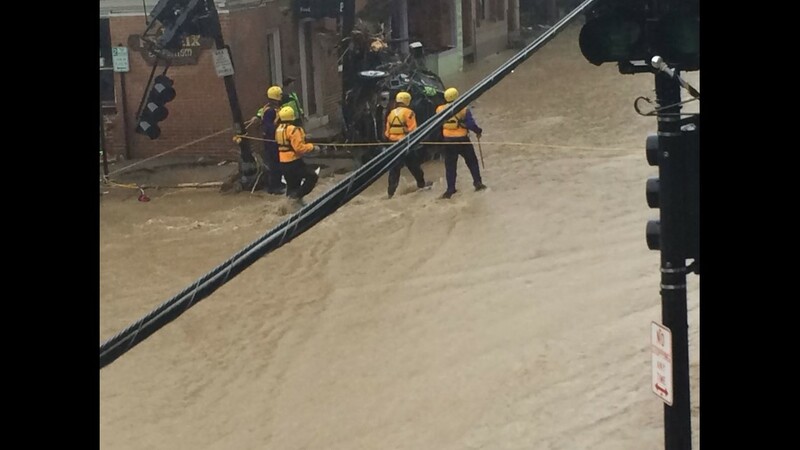 Two people were killed, and the flooding left behind millions of dollars in damage. 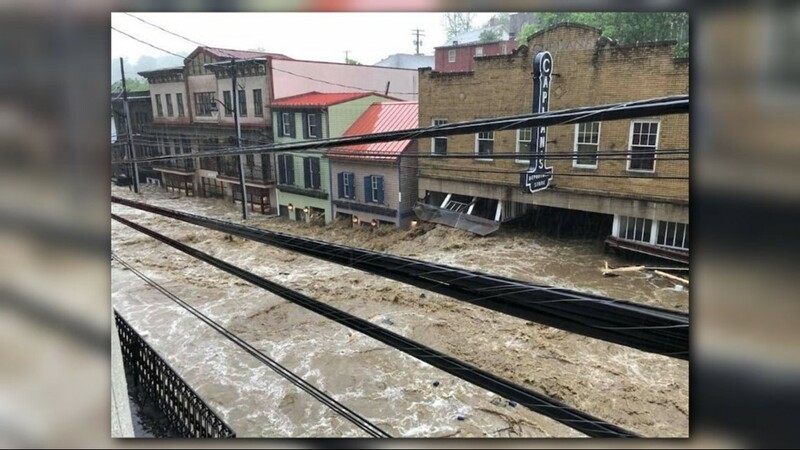 One person was killed in the 2018 flood, and the damage estimates have yet to come in. 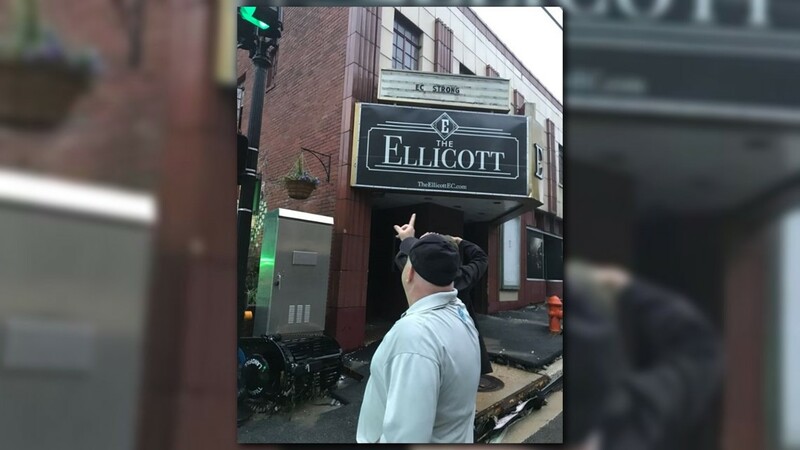 But residents rebuilt and celebrated a grand reopening of Ellicott City’s Main Street and many of its small businesses a year after the 2016 flood. 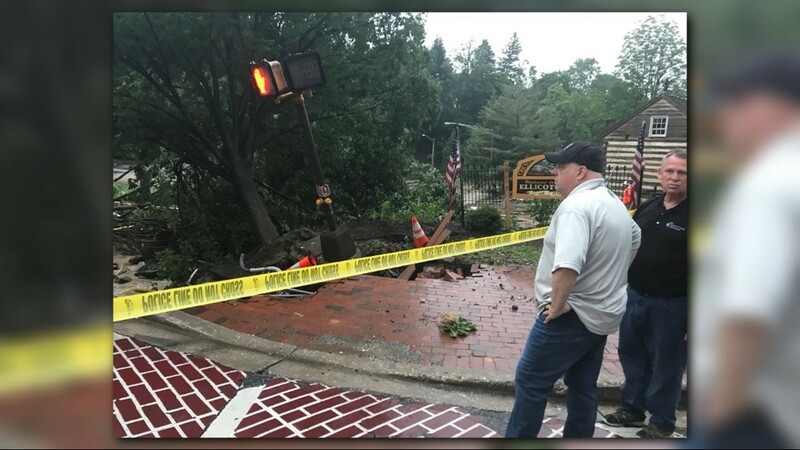 Kittleman credited the strength of the city’s residents and community. “They put so much effort into rebuilding and now to have this happen, it’s heartbreaking,” he said. 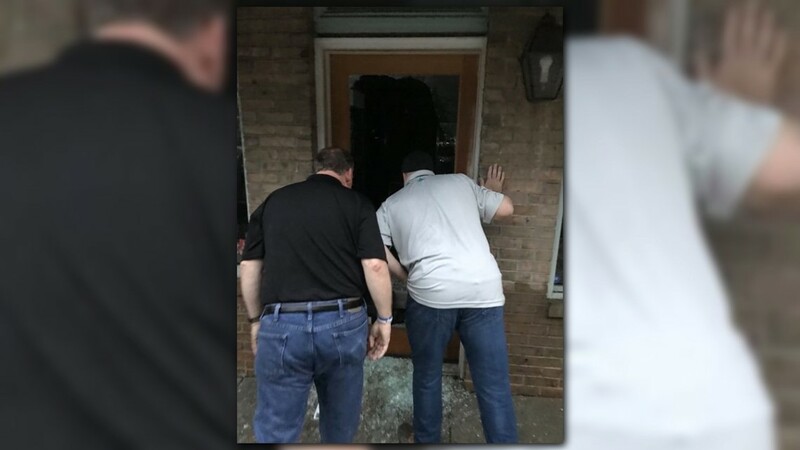 Kittleman also urged gawkers to stay away from Main Street—to let the community rebuild in peace. “Don’t come to Main Street. Don’t come down here to see how things are looking. It’s devastating. It’s heartbreaking. People’s lives are devastated. These are people’s lives. They don’t need to have strangers coming around looking at what’s happening to their lives. Please have a little respect for them,” he said. 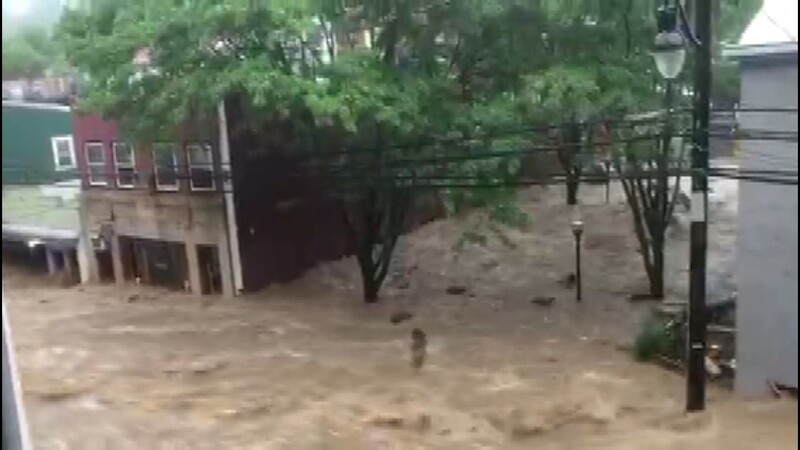 Significant flooding is going on now in #EllicottCity. Water rescues are underway. The @NWS_BaltWash is calling this an "extremely dangerous & potentially catastrophic situation." Ellicott City residents needing shelter for the night can go to the Roger Carter Community Center, St. Peter’s Church and St. Paul’s Church. 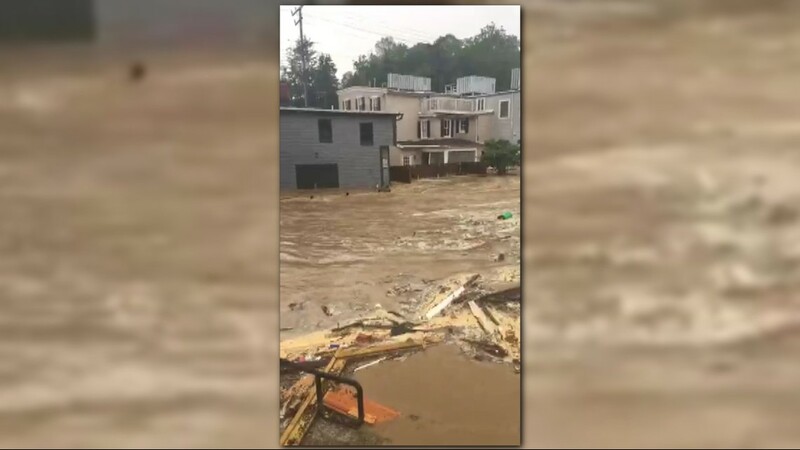 If you would like to help Ellicott City residents, the Howard County Food Bank will accept donations Monday—Memorial Day—from 10 a.m. to 2 p.m. Water, cleaning supplies and flashlights are among the items needed most.